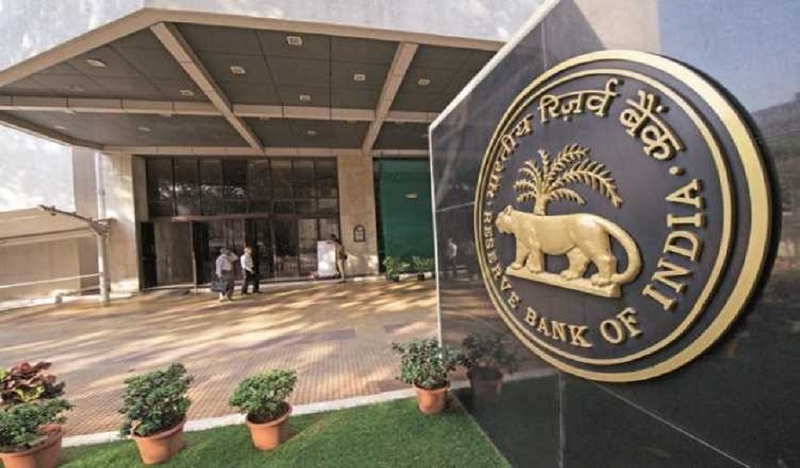 THE Reserve Bank of India (RBI) on Monday said it will inject long-term liquidity worth USD 5 billion into the banking system through dollar-rupee buy-sell swap for a tenure of three years on April 23, the second such auction within a month. Earlier on March 26, the central bank had bought USD 5 billion through similar swap auction in a bid to ease liquidity ahead of elections. “In order to meet the durable liquidity needs of the system, the RBI has decided to inject rupee liquidity for longer duration through long-term foreign exchange Buy/Sell swap in terms of its extant liquidity management framework,” the RBI said in a statement. The USD/INR buy/sell swap auction of USD 5 billion for tenor of three years will be held on April 23, 2019, it said. The swap will be in the nature of a simple buy/sell foreign exchange swap from the Reserve Bank side. Under the swap, a bank would sell US dollars to the RBI and simultaneously agree to buy the same amount of US dollars at the end of the swap period. The US Dollar amount mobilised through this auction would also reflect in RBI’s foreign exchange reserves for the tenor of the swap while also reflecting in RBI's forward liabilities, it added. It further said the market participants would be required to place their bids in terms of the premium that they are willing to pay to the RBI for the tenor of the swap, expressed in paisa terms upto two decimal places. The auction would be a multiple-price based auction -- successful bids will get accepted at their respective quoted premium. The minimum size of each bid should be USD 10 million and in multiples of USD 1 million thereafter. The swap will increase India's foreign exchange reserves while injecting liquidity into the financial system. The auction is meant to give RBI greater flexibility in managing banking system cash while helping absorb any potential large dollar inflows, which could make the rupee rise sharply. DESPITE heavy fund infusion by FPIs over the past two month, the domestic financial market suffered a foreign fund outflow of over Rs 44,500 crore on net basis in the fiscal 2018-19 as macroeconomic headwinds weighed on investor sentiment through the year. Hike in rates by the US Federal Reserve, depreciating rupee, rise in crude oil prices, worsening current account deficit, concerns over fiscal deficit and current account deficit target, coupled with trade tiff between the US and China dampened the mood in emerging markets, experts said. In financial year 2018-19, foreign portfolio investors (FPIs) pulled out a net sum of Rs 1,629 crore from equities and Rs 42,951 crore from the bonds market, taking the total net outflow to Rs 44,580 crore, the depositories data showed. In comparison, FPIs had infused a net amount of Rs 25,634 crore in the equities and over Rs 1,19,035 crore in the debt market, a total net investment of Rs 1,44,669 crore in the previous fiscal. “After two years of good foreign fund inflows, Indian market witnessed reversal in the trend. We received Rs 48,411 crore and Rs 1,44,682 crore in the year 2016-17 and 2017-18, respectively. Global and domestic causes alike have prompted the flows of funds in 2018-19 from the markets and both the equity and debt segments have witnessed outflows”, Alok Agarwala, Senior VP and Head Investment Analytics, of Bajaj Capital said. FPIs remained net sellers almost throughout the recently concluded fiscal except for the past couple of months. October emerged as the month of steepest outflow with FPIs pulling out a massive Rs 38,900 crore from the market. However, fresh fund infusion was witnessed in the last two consecutive months of the fiscal, with March alone accounting for a net infusion of Rs 45,981 crore including a net Rs 33,980 crore in equities and Rs 12,001 crore in debt. In February, the overseas players pumped in a net amount of Rs 11,182 crore in capital markets. This inflow “could be attributed to the shift in stance on monetary policy outlook by various central banks globally, which led to the improvement in global liquidity condition. In January 2019, the US Fed announced a pause in rate hike, followed by China and European Central Bank providing stimulus to their respective economies,” said Himanshu Srivastava, Senior Analyst Manager Research, at Morningstar. This, along with expectation of a positive outcome from the US-China trade agreement bolstered the risk-on sentiments among foreign investors who diverted huge investments towards emerging markets, Srivastava pointed out adding “it is difficult to say anything conclusive about continuity of foreign funds at this stage”.